Now I know that the Winter Solstice occurs when the Sun moves into Capricorn… but this meditation seems so appropriate to the energy of the New Moon in Sagittarius that I couldn’t resist sharing it tonight. I don’t have a written copy of this meditation – so I hope you’ll listen to it as I’ve recorded it. You can read the meditation here in a PDF however. Since I wasn’t able to share the written version of the meditation, I thought I’d share the written transcript of the actual New Moon in Sagittarius TeleClass that we shared just a few minutes ago. Enjoy! And know that this is what you can expect if you ever decide to join us for future New Moon calls! Happy Holidays to you! 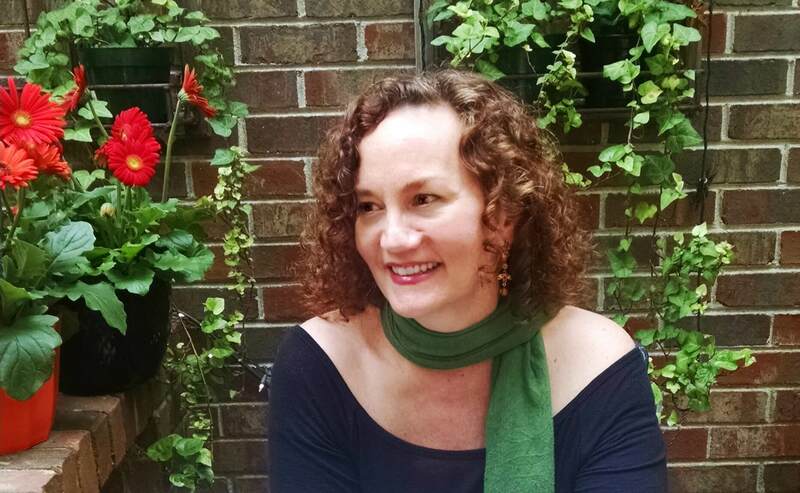 I’m Michelle Gregg and I’ve been a Counseling Astrologer for about 18 years. My work is a bit like therapy in that I usually work with folks over a period of time, rather than just in one session. I do that as well, though I most love working with people over time. That’s the way we work through those issues! I use the teachings of Carl Jung along with astrology, mythological stories, meditation, dialoguing with the Gods, and anything else I can think of to help you get to where you want to be. I love to help people, so this work is very fulfilling! I’m in Atlanta GA, and I can work with anyone anywhere in the world via phone or Skype. I’d LOVE to work with each and every of you so your gift for being here with me this evening is that you get 20% off any consultation that you schedule with me between now and the Full Moon in Cancer on December 28. I SO hope you’ll take advantage of that! If you want a consultation go to the page on my site (www.michellegregg.com) that says Client Info Form and follow those instructions. Easy Peasy! This offer is only for you folks on the call – so that means you are very special to me and I’m very grateful to you for being here with me now. Let me just say that at least part of the reason I do these classes and meditations is because I’d love to be able to help you with your individual concerns by seeing you in personal consultation. That’s why I offer my sessions to you at such a great discount. No one has decided to take advantage of that offer yet however, and I’m wondering if any of you have any feedback on the class or have any ideas around that? So couple things about being on the call. If you want to mute yourself so that the rest of us can’t hear you or your background noise, then just press 4*. You can unmute yourself by pressing 4* again. If you want to ask a question or make a comment press 5*. That way I can see that you want to speak and I’ll ask you to go ahead – it’s like raising your hand. I think this evening though, unless something happens, I’m just going to leave all the lines unmuted (though you can mute yourself like I said before if you want to). That way you can just jump in with questions and comments whenever you’d like. I really don’t mind being interrupted and as a matter of fact I’d love your participation. Another thing is that I’m going to ask you to take your shoes off for the meditation (if it’s not too cold now!) so if you’re comfortable with that, feel free to go ahead and slip them off. And since this really is the Dark of the Moon when no part of the Moon is visible, if it’s possible you might want to turn off your light and close your curtains to get you into the right space in your mind. First, how did last month go? It was the New Moon Solar Eclipse in Scorpio – anything about the last month you’d like to share? For me: Over the past month in my life, my practice has really started to take on a different feel… it’s more intense and it’s building very quickly now. That’s really been my focus the past 28 days and it’s paying off. Where I felt a little blocked prior the recent eclipses – I feel that now the path has really been opened. If you want to see the New Moon chart that I’m using, which is drawn for Dec. 13, 2012 at 3:42 AM, the moment of the New Moon, go to www.michellegregg.com and click on the very happy winter cartoon that you see at the upper left side. The article says Food for Thought. If you open that and scroll down, you’ll see the key phrases that I sent out earlier today that are relevant to this New Moon and then below those you’ll see the New Moon Chart. If you click the chart it will get bigger and easier to see. It’s drawn for no particular place, an Aries Wheel, so it’s good for where ever you are. The New Moon, any New Moon, is a time for regenerating and restoring your spirit and seeding new ideas. So all of the things that we talk about in the next hour are places to seed these new ideas. The New Moon is a time to relax and connect with your subconscious self and your creativity. This is the time when we can’t see any moon in the sky at all, leaving us in a very fertile darkness as we prepare for the next cycle of the moon through the sky. It’s a new beginning because it’s the time when the moon and sun are together – the core-self represented by the sun and the instincts and emotions represented by the moon, are feeding each other. They’re communicating – they have much in common because they are in the same sign. 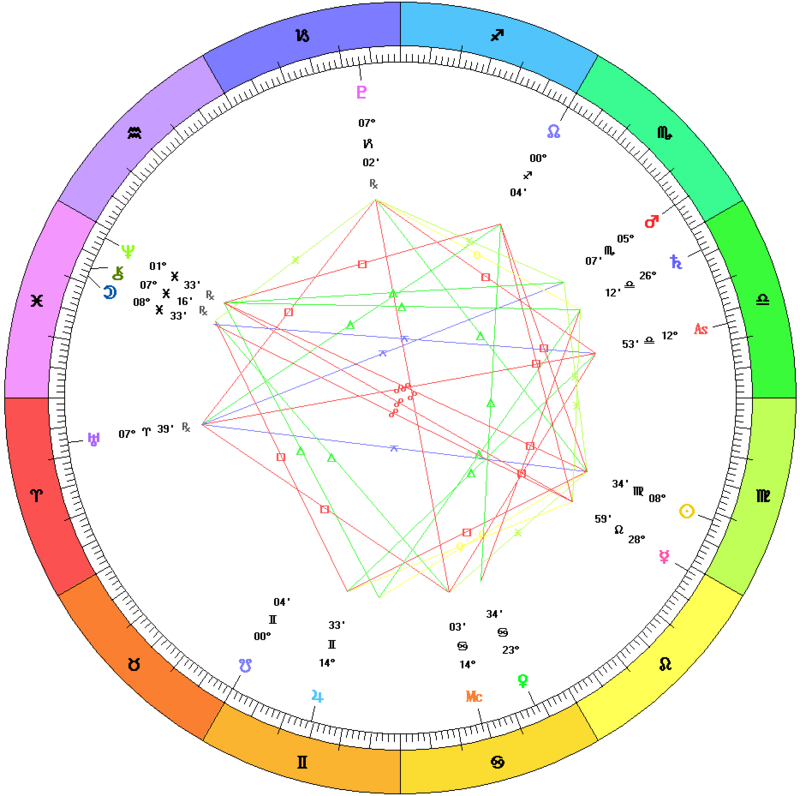 And the New Moon chart sets the stage for the next 28 day cycle – it’s the imprint of what we can expect and how we can best move forward EMOTIONALLY for the next month. I’m looking at this month’s New Moon chart with a particular eye toward the Sun and Moon in Sagittarius. This Sagittarius energy is pretty pure – the Moon has been void for most of the day, meaning that it doesn’t connect with any other planets. And because the Sun and Moon come right together during the New Moon, the Sun isn’t making any connections to other planets either. Or they weren’t. I think the Moon made its first aspect, which was a sextile to Neptune at about 5:45 this evening. That should lend us a very nice, dreamy quality for the meditation in a little while. This New Moon in Sagittarius, asks us to meet the coming month with faith! It asks us to open ourselves up to the possibility of a bright future… Sagittarius energy is very future oriented. So my feeling on the idea that the world is ending and everything is all doom and gloom is beautifully off-set and denied by this gorgeous Sag optimism. What do you think of when you think of Sagittarius? I am a Sagittarius, so I might be too close to all of this. Not only do I have the sun in Sag, I have Mercury, Venus and Mars in Sag too! So what I’m thinking is this is our month not to worry… Sagittarius energy is not a worrier. It doesn’t dwell on possible negative outcomes or what happened in the past. It wants to get on with building the happiest possible future, have as much fun as possible while doing, bring as many people as possible along for the ride, and believe that life is going to support us!! And I gotta say – that’s pretty much how I have lived most of my life. Sound scary to some of you? So this month, as far as I can see, which hopefully like that gorgeous Centaur drawing back his bow is pretty far – as far as I can see for the next 28 days we are meant to focus on the happy future that we want to create and start galloping in that direction. 1. If you’ve got yourself focused on running ahead toward the future, you might miss the hole in the ground that’s right in front of you – you might gracelessly stumble and even fall. Brush off, see what the trouble is, figure out what you can do about it, and then grab hold of your faith and head forward again. Don’t let the pot hole change your course… do let it give you pause and time for a little reflection. 2. You might think that everyone else wants to hear everything that you’ve got to say about your vision of the future and what it should be. Just remember – maybe they do and that’s wonderful. Maybe they don’t… so don’t forget to check that there is in fact some appreciation in response to your vision before you carry on. Sag energy can get a little carried away with its own ideals and its own importance. So smile and move to your next victim if you can tell they don’t want to hear it. Better to expend your energy on those happy to be inspired. 3. Overwhelm and overextension… Sag energy is big and bold and pretty fearless because it has so much faith that everything is going to fine and that failure is not an option. So Sag can be a yes man – and saying yes too many times without consulting your calendar can get you into trouble. So can doing too much or going forward too fast… so be careful. Basically, what I’m saying by spouting all of this stuff that you probably already know about Sag energy, is that this month it is okay – nay expected – for you to depend on grace and faith and hope and love and set your foot forward with confidence toward a better future – whatever that better future that you envision for yourself might be. Where this New Moon falls within your birth chart will give you clues as to where this expansion and new growth will take place – and how you’re pre-disposed to optimistic energy in the first place will also go a long way in understanding whether you’ll be able to go whole hog with this – or take baby steps. It doesn’t matter. Anything that takes you out and away from where you are now toward something that is lighter and brighter is using the energy well. Do this on purpose this month. Get out of your comfort zone. Listen to the call of the wild. Put your inherent gifts to use and listen to the voice in your head and your heart – they are your intuition and they know what you’re supposed to be doing. They are your vision. They are very WISE. And you know what? Creativity is WISE. It can be scary and dangle us outside our comfort zone – that is true. But real creativity from our intuitive vision is WISE and will not steer us wrong. So – get out there and move forward with your gifts. They are only gifts if you GIVE THEM. Some of these are positive and some are challenging… meaning that Sagittarius energy, like all other energies, has a high vibration and a low vibration and everything in between. And, as I always say, you get to choose which way you want to vibrate with it. I do want to say a little bit about the fact that the Sun and Moon this morning at the New Moon were conjunct to the asteroid we call Juno. Juno/Hera was the wife of Jupiter/Zeus… so we have the marriage of Sagittarius energy, which is ruled by Jupiter, involved in a committed relationship with his wife in mythology. Juno represents our ability to commit to something… so I’m thinking that with the Sun and Moon closely connected to her in Sagittarius, this truly is a time when we can make a commitment to our vision for the future – and have it pan out. Whenever we are committed to something, and I mean truly committed, things begin to happen to us and around us that supports us in that commitment. So that’s the flavor of the month kids… dream big, use your intuition and trust it! And then boldly go forth with faith and commitment and make those dreams happen. I think most of what I’ve talked about already covers them, but please share your thoughts on these phrases with us… anyone? We’re doing something different tonight. Because it’s the holiday season, I wanted to do something holiday-y so I hope you won’t mind my digression from form. Normally I write the meditation that we use, but this evening I want to use a meditation that is very special to me. I really just felt like I have to share it – it’s not necessarily about the New Moon or Sagittarius energy per se – but I think you’ll understand that it is appropriate as you experience it. It’s called The Sun at Midwinter: A Meditation and it was written by John Matthews and is published in his book called The Winter Solstice – The Sacred Traditions of Christmas. And we’ll get to that in just a minute. First, here’s another twist for tonight that I’ve never done before – before we do this amazing meditation I want to read you yet a different piece. I have no idea who wrote this one. I found it earlier today on-line and whoever posted it said they found it on a website called magickalenchantments.blogspot.com – But I went to that website and didn’t see it there. So I have no one to attribute this to. I get a little choked up at the end, so hopefully I can get through this without embarrassing myself. It’s called Twas the Night Before Yuletide. Ok. Now on with the meditation! Ok! That’s it then. I hope you’ll take this meditation with you into your daily lives this month and please come back to it on my website again and again – whenever you feel like you need a Soul boost. And I’d love to help you with a consultation this month – so please be in touch about that. Remember that you get 20% for being here on the call with me tonight. Thanks all! Happy Holidays to you and I’ll see you next New Moon! Look at this day! Feel this potent moment! This Full Moon in Aries! It is truly an evolutionary moment in time. Why? This Full Moon fully and perfectly connects with the Uranus/Pluto square – THE configuration for revolution, transformation and total change. The Moon is in Aries, conjuncting the planet Uranus within 23 minutes of exactitude, triggering a consummation within our personal emotions, and simultaneously fueling us with the energy to initiate. Even as we reach the denouement in the current monthly cycle something within us is enlivened! The Sun in Libra brings this energy into connection with those we love – with whomever we keep close company, our social circle. It ensures that whatever this moment holds, it is not only for ourselves but to be shared in the deepest possible way – and perhaps in the most unique and unexpected possible way. Both the Sun and the Moon are almost exactly squared to Pluto (again within 23 minutes – that’s about 37 minutes less than one single degree out of a possible 30), making Pluto the focal point of this amazing configuration. Pluto. The God of Death, Transformation and Rebirth. The God of what’s deeply rooted inside you that needs to erupt into consciousness. Get down into yourself to answer that question – the deeper you go, the more uncomfortable you may feel. But – that’s the point! Bring it up and out – let it burst forth suddenly without questioning it or trying to stamp it back down. Allow Uranus (sudden enlightenment) and Pluto (the dark, sometimes frightening, underbelly of who we are) to work their magic on you tonight. This could be, as it has been for me today, one of the most momentous personal breakthroughs of your life. What is this moment for you? Now let’s move just for a moment from the personal (and transpersonal) to the relative world. What might this configuration mean in the “real” world? With the Moon and the Sun as triggers of the Uranus/Pluto square, we could see events in nature – earthquakes would be my first guess, as they bear such similar energy to the sudden and unexpected energy of Uranus, and bringing up hot masses from the bowels of the Earth, which is the energy of Pluto. Hopefully though, there will be far less disruptive ways for this energy to manifest. The Moon and Uranus coming together represent, on the lower vibration of the energy, sudden uncontrollable emotions erupting forth. And with this energy squared to Pluto, lower vibration activation could be some sort of destructive force played out as a result of those unbounded emotions. So there is the possibility of some fairly nasty representation of this combination. In nature, in politics, in any arena… but we can choose, at least for our selves and our own domains, to vibrate at the higher level – one of evolutionary transformation and soul surging ah ah! moments. See the chart for this powerful lunation just below. It is drawn as an Aries Wheel – meaning for no particular location. The Aries Wheel for the Full Moon in Aries on September 29, 2012 at 11:19 PM Eastern Daylight Time. Here’s and interesting article and video about tonight’s Full Harvest Moon from the Huffington Post! Full Moons bring awareness and ask that we intensify our focus in a particular direction, just as we do when we walk out under a night sky containing the glory of a huge glowing orb – we are compelled to look up and see it – to experience the mysterious beauty above us. That fully visible and perfectly lovely full moon both lights our way through the dark and casts deep shadows. The same is true in our emotional selves at this time – we are both brought to awareness of something and may also be made aware of the shadows in our psyches. This Full Moon occurs in Pisces, with the Sun in the opposite sign of Virgo. This is the axis of service (Virgo) and of compassion (Pisces), of getting on with the work at hand (Virgo) and of daydreaming (Pisces), of the Martyr (Virgo) and the Savior (Pisces), of practicality (Virgo) and of highest ideals (Pisces). And as all oppositions do, we are called now to find the balance between these very different areas of awareness – or in today’s Full Moon due to its connection to Mars – to find the balance in these very different calls to action. How will you bring balance between these areas today and for the next two weeks until the New Moon? We are compelled to look deeply into our family wounding (family of origin, immediate family, family of choice, neighborhood, city, country) and feel out the ideal, the appropriate healing road to take. This can be a time of enormous healing – but also of enormous wounding. As always the two sides of the same coin are there to be chosen from. Let your imagination and your deepest compassion inform your awareness. And then, with the practical working ethic of the Virgo Sun, and the impetus stimulated by Mars, put forth the effort required for the healing to happen. And understand that what issues from today will both pull from the past, probably as information already received and processed, and lead toward the future, changing our beliefs and philosophies, due to the Grand Square being formed with the Moon’s nodes, which represent where we come from and are comfortable and where we are stretching toward. There’s a very Universal feeling that goes beyond the personal and familial realm that is the typical designation of the Moon. We have those connections to Chiron (conjunction), Uranus (semi-sextile), Neptune (conjunction) and Pluto (sextile) that speak of bridging the purely personal and moving into the collective. The healing energy available now can be a balm to the flood victims of Hurricane Isaac, and beyond, especially if we harness the practical work ethic of Virgo, hand-in-hand with the compassion of Pisces. Whatever and wherever you are today, know that there is healing and compassion available to you if you need it. And for those on the other end of the spectrum, today and until the New Moon is the perfect time to reach out and help – to be of service to those in need. 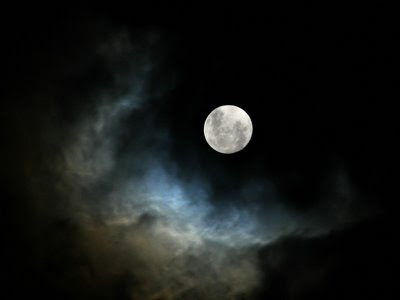 Full Moon in Aquarius on August 1, 2012 – Be Unique and Expansive! The gorgeous Full Moon! Be unique and allow your originality to shine during the next 2 weeks! Tonight’s Full Moon is looming and the energy is UP! Nervy, initiating, expansive, original, rebellious, optimistic, and dare I say – possibly a bit combative? 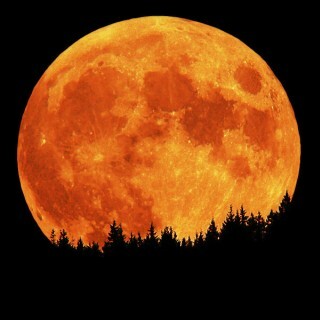 The Full Moon occurs in Aquarius at 11:27 PM Eastern Time on this first day of August 2012. A Full Moon in Aquarius means that the Sun is in Leo and these two luminaries are playing in the sky exactly opposite to each other. We can look at that in a couple of ways – either we see it as Ego vs. Emotions; or we see it as an opportunity to balance the desires of the Ego with the pull of our Emotions. The latter is win-win if we can manage it. The former is a battle. 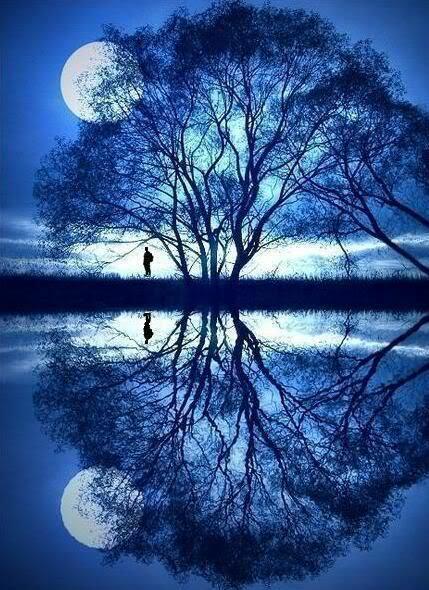 As is true for all Full Moons, this is a period of culmination – of flowering and illumination. Did you begin anything, plant any sort of seed, near the Cancer New Moon on July 19, 2012? Today marks halfway through that cycle, so consciously take note of your circumstances now to establish how to proceed. Alternatively, this could be a culmination point of something you began around the time the Moon was last New in Aquarius, just over 6 months ago on Jan. 23, 2012. Perhaps it’s time to take stock of how those New Year’s resolutions are panning out? (Remember those?) That cycle resolves just before Feb. 10, 2013, so again, this is a great mid-point to see what’s being shown in the light either to let go of, proceed with, or change. With the energies that are present right now (huge influences from Uranus and Jupiter on just about everything) I’m thinking CHANGE and expanding your awareness to include the new and exciting is what to be open to (note I did not say “act on.”) Here’s a potential mantra that is quite apropos: “I must risk disapproval from others and be true to my own unorthodox ideas in order to develop the deeper and more satisfying feeling of self-approval and to broaden my worldview and the way I live within it.” Risk. That is classic Uranus/Jupiter ideology right there. Everyone who can get down with that say “AMEN!” If you have planets in Aquarius or Leo, or both, think deeply about this mantra. Let it go to work inside you. Again, I said “think.” I didn’t say do. Mercury is still Retrograde until August 8, so taking direct action on new, fresh and exciting ideas isn’t advised, though you must CERTAINLY be having them. Researching those ideas, collecting them, ruminating on the best possible new directions – that’s all good! This is a very mental Full Moon with a great emphasis on the Air signs which stimulates the mental processes. And admittedly there is emphasis on Fire as well and Fire wants to move… but Uranus IS Retrograde in Aries with Mars in close proximity to Saturn. That’s to say that some restraint is called for – some grounding due to make the most of this part of the Moon’s cycle. I get the sensation of chomping at the bit, or being ushered into the starting gait waiting for the shot to sound. A little more waiting is in order and this can make the most patient of us edgy and uncomfortable. Possibly the best parts of this Full Moon are the Jupiter connections. Jupiter is in happy conversation with the Moon, the Sun, and Mars lending, on the up-side, a level of generosity of spirit, nobility, optimism and self-assurance. True feel-good stuff. There is wisdom to be gained and our ethics are stretched wide to push our boundaries farther abroad. But we must also take a look at the down-side potentials as well: overextending, promising what can’t be delivered, soap-boxing and self-righteousness. So be aware of these tendencies in yourself and if they emerge, look realistically at what you can accomplish, council yourself wisely and open to other opinions around you that may be just as valid as your own. The bottom line here is to allow your high energy to come out to play, but try to stay grounded and don’t embark on new ideas just yet – and keep your temper in check. Enjoy the positivity that’s in the air and be social! And please, come out with your unique-ness, your originality. There are opportunities to be had through them! I’ll restate that in case you slipped right past it – there are opportunities to be had by being your original and unique self! Just remember that today is NOT the day (nor are the next two weeks) to let others tell you how to be – just as it IS the time to allow others to be who they uniquely are and to be accepting of them. In this way, by wearing our own uniqueness proudly while allowing others the same due, we can best use this Full Moon’s energy. 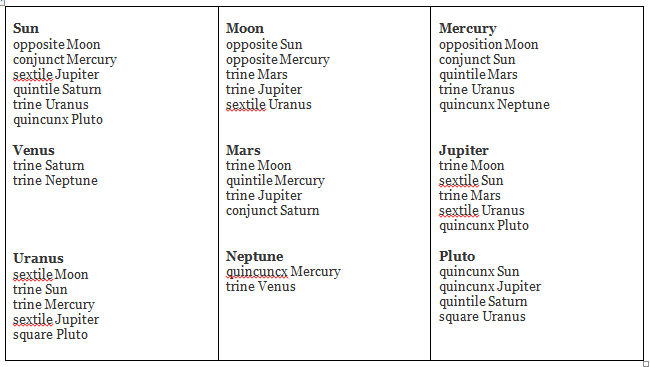 Planetary Aspects in the Full Moon in Aquarius Chart. August 1, 2012 at 11:27 PM Eastern. The New Moon in Aquarius Chart. Aries wheel drawn for Aug. 1, 2012 at 11:27 PM Eastern. This New Moon is proving to be such a powerful event for me! This evening I hosted a New Moon Tele-Class and Meditation, and was just elated with all the folks who joined the call and shared this special time. Thanks to all of you! Now I want to share our meditation with everyone. Enjoy it for the next 2 days when we’re in the Dark of the Moon phase, and into the next two weeks before the Full Moon on August 1. 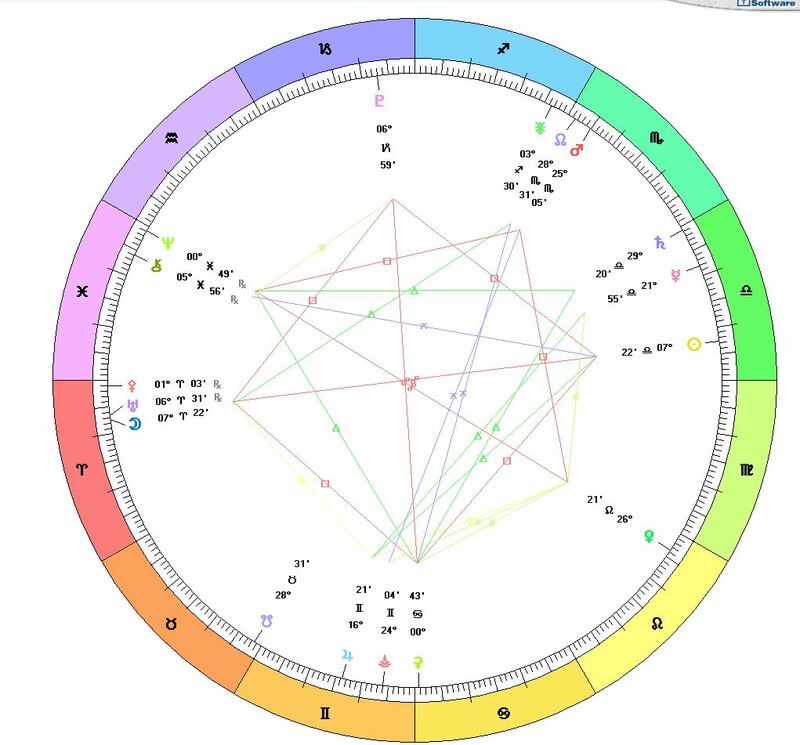 In creating this meditation I focused specifically on the energies of the New Moon and Sun in Cancer in a square aspect (a 90 degree angle) to Saturn. 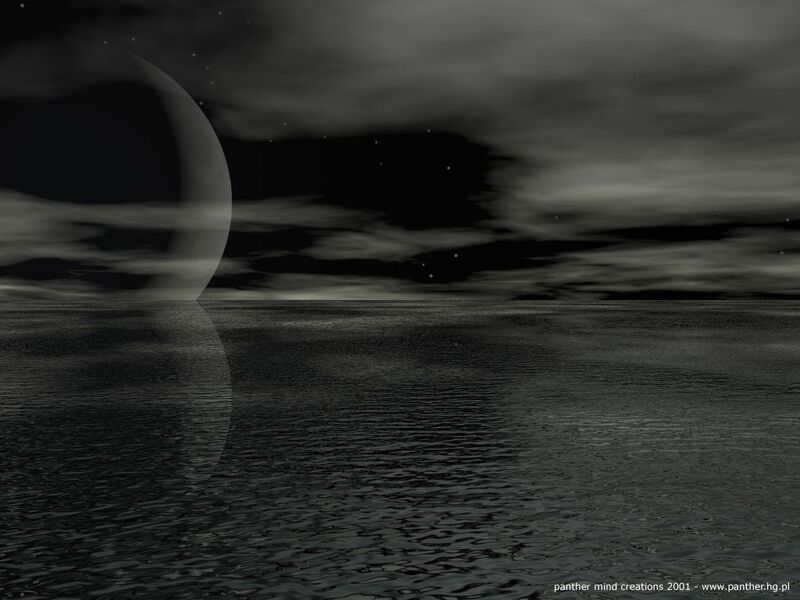 It is meant to get you to that space of the Dark of the Moon – to experience the healing energy of darkness – the fertile dark womb of creation – and to become refreshed, restored and to regenerate your spirit in that space so that you are ready for a new beginning at the Crescent Moon. Listen to the meditation here. This is a guided imagery meditation. I’m using Earth imagery and Water imagery since the New Moon chart shows the Sun and Moon in the Water sign of Cancer, and they are both strongly connected to the planet Saturn – the Earthiest of planetary energies. The best way to experience this meditation is sitting comfortably upright with your bare feet on the ground or the floor, with closed eyes and an open heart and mind. Relax your face. Smile and release any tension there. Relax your shoulders. Gently lift them and let them fall into a comfortable place. Shake your arms and hands lightly and then allow them to become comfortable and loose, resting your hands in your lap. Breathe deeply into your torso and as you breathe out twist easily and gently from side to side, then come to center and settle into an easy position. Now gently shake your legs and move them from side to side for a couple of breaths, then bring them to stillness, releasing any tension in them… just let them relax and become heavy, allowing your feet on the floor to support them gently. Now lift your feet a little and wiggle your toes and circle your ankles and let them come to rest, planting them firmly on the floor again, knees bent and wide, easily supporting your relaxed legs. Breathe very deeply, in and out, at a natural and comfortable rate. Now empty your mind. Free yourself into a blissful conscious darkness. Breathe there, relaxing in pleasure. Now breathe your breath into your heart imagining warm, gentle dark hands lovingly holding and supporting your heart-space. Breathe gently and feel the love that is offered. Breathe into your breasts. Let them become full with your breath and the loving presence of the Great Mother who offers perfect nourishment and comfort, a solace from the world of light. Breathe into your stomach. Allow it to expand with the nourishment that is offered from the Mother and know that it will digest everything you need to assimilate and move forward perfectly. Breathe into your womb. Feel it awaken and quicken with your divinely inspired creativity and intuition. Now, imagine that you you’re lying down in a dark, wild wooded place. Smell the damp earth. Hear the sounds of the night creatures. Listen to the music of the dark flowing stream that runs nearby. Know instinctively that you are home here – completely protected and safe. Breathe in the sensation of safeness, even in the velvet darkness of the moonless night. No sight is needed. Everything is understood through your feelings and intuition. Lie here in perfect safety and comfort, connecting your breathe to the pulse of the earth, understanding that the Earth is your mother and safe haven. Breathe deeply and gently. In. Out. In. Out. Now ever so slowly and gently imagine that you sit up, legs crossed in meditation pose, continuing to breathe deeply, eyes staying closed, feeling safe within the dark womb of the woods, and settle your 1st Chakra, the area of the tail bone, onto the warm ground. Feel it connect with the Earth. Feel yourself becoming one with the Earth. Settle deeply upon it. You are connecting with the ancient feminine, understanding that you are part of that powerful source and as such, also ancient and indestructible. Your first Chakra is soaking in the infinite support and love that the Mother offers, healing and replenishing. Now that you are grounded in pure Mother Love, slowly rise and walk to the edge of the dark night stream. Move confidently and with grace and power through the black, feral night. Squat down beside the clear flowing stream, placing your hands in the warm, pulsing waters. Bring the water to your face and as you become accustomed to the feeling, lie down with your whole body in the water and feel it flow and contour around you. The water of the Mother, the water of life is cleansing your body and soul and opening you to feeling wholeness as a woman, a mother, a protector, a nourisher, of yourself and of those you love. Feel the sensation of the liquid warmth and revel in it with joy, understanding that pleasure, feeling, and sensation are your right. Breathe deeply and gently as the water flows over and around you, bringing you peace in the darkness. Now, feeling restored and regenerated, imagine that you slowly rise and lift your arms to the night sky. As you do your body is dried and warmed by a comforting breeze. Walk with a lifted spirit onto the shore and become aware again of the soft dark earth at your feet. The rustlings of dark nature all around you. You sense that the dark moon is passing and that a tiny sliver of light will be visible when you walk from the forest into and open field. You are refreshed and your light consciousness begins to flow as you get your first glimpse of the lovely crescent of the New Moon. You have been nourished, regenerated, made whole in the Dark of the Moon and now it is time to release newly formed ideas into your Creative Spirit and out into the world. Just as the Moon begins to show herself anew, so can you, with confidence and surety. You are supported and loved. Your creativity is poised to spring forward. When you’re ready, begin to bring your breathing back to a normal pace. Still sitting, still with eyes closed. Still relaxed – but with stirring thoughts and an emerging idea. Breathe. Smile. Now slowly open your eyes, feeling refreshed and restored. If this was meaningful to you and you’d like to go further with this healing energy, I invite you to a consultation with me so that we can get very specific about how and where in your life this energy impacts you. 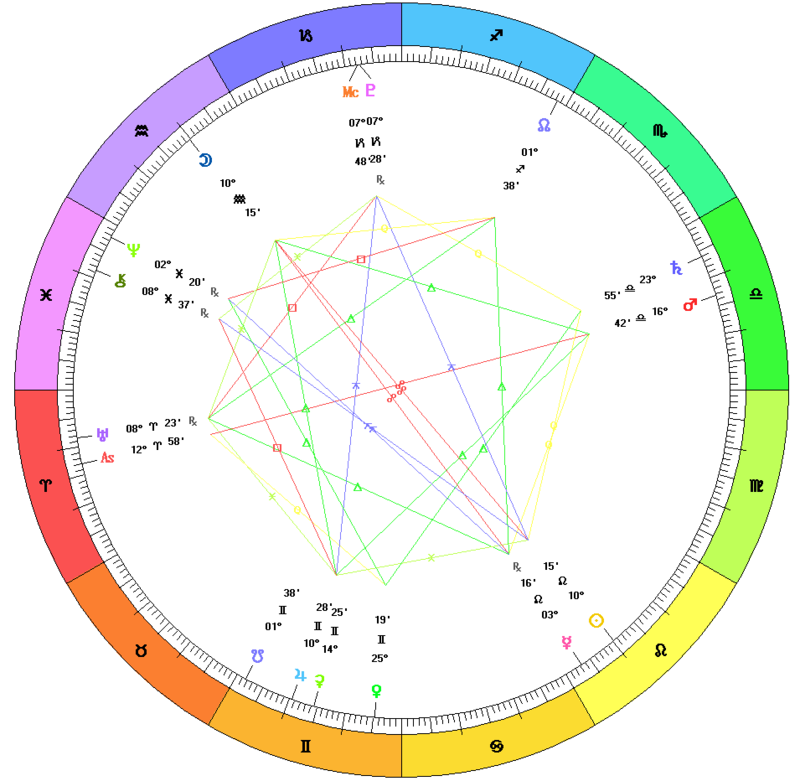 What house does the New Moon occur in your chart? Which area of your life is being impacted and is up for change and growth? What does your personal Moon Sign say about how you need to nurture yourself to feel whole? Reach out and we can explore this month’s energies in your personal birth chart and see what is ripe for transformation. If you’re having relationship challenges, or mother or family issues, or you’re not expressing your creativity the way you’d like to – all Moon related issues – please email me at astrology@michellegregg.com. I’d love to help! Thank you!! And I hope to hear from you soon and to share with you on the next New Moon Tele-Class & Meditation on Friday, August 17, 2012 when the New Moon is in Leo. A very different energy! Be well and Happy New Moon!